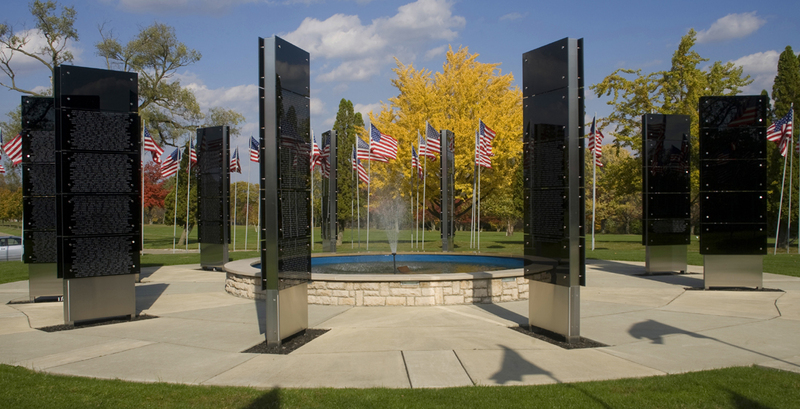 With the establishment of the Cremation Garden, the Foundation started the Veterans Left Behind Project. Its purpose is to inter, at no cost, the cremated remains of thousands of veterans that lie unclaimed in funeral homes and crematories across the country. It is a joint project of the Avenue of 444 Flags Foundation, funeral homes, mortuary schools and students, and others wanting to provide honor to those who have been deprived of it, some for many years. The land in which the Cremation Garden is located was deeded directly to the Avenue of 444 Flags Foundation by Hillcrest Memorial Park on February 1, 2013.